Windows Explorer keeps crashing unexpectedly. How do I prevent this? An unexpected Windows Explorer crash is a frustrating occurrence and can lead to the loss of unsaved work and data. Occasionally these crashes are isolated incidents with several possible causes. However, when Windows Explorer begins to crash on a regular basis, you may have a more serious issue with your PC. An error like this can have many possible causes, therefore you may have to try a couple solutions in order to fix it. Your first step should be to update your computer’s security software. If you do not have security software installed, it is advisable to install one immediately. The process to update your security will vary greatly depending on the software you have installed and the version of Windows you are running. Look at the bottom right corner of your taskbar. On Windows XP, click the arrow pointing to the left to load more icons. On Windows 7 and Windows 8, click the upward pointing arrow. Locate the icon for your security software and right click. If there is an option to update from the pop up menu, select it and run the update process. If there is no option, open the program and look for the the update option from within the program. Once your your security software is updated, the first thing you should do is run a scan. As with updating, running a scan varies depending on what security software you are using. The first place to look is under the popup menu from the taskbar. If a scan option is not found here, open your program and search for the option. Often this is the easiest feature to find and will be marked with a large button or menu. These errors often occur following a software or Windows Update. When this happens, the easiest fix is often a simple System Restore. 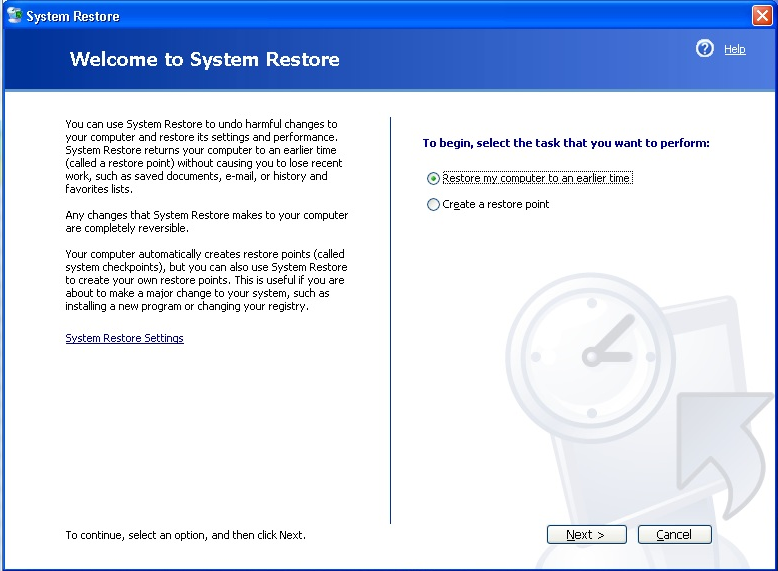 A System Restore will roll back updates and changes, to restore your PC’s condition to an earlier point before your Windows Explorer errors began occuring. Follow the instructions and select the closest restore point possible. Let your PC restart and load the restore point. Open the Start Menu and type System Restore into the search box. Press the Windows Key and click Settings under the search box. Type Recovery into the search box. Click the tile that says Create a Restore Point. What if These Solutions Don’t Work? 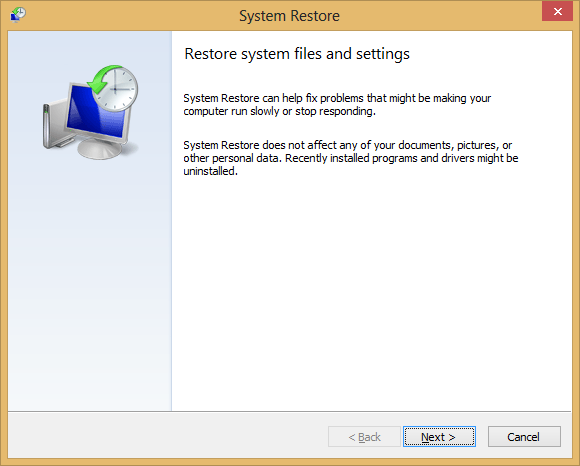 If your problem isn’t caused by malware or could not be solved by a system restore, you may have to reinstall Windows. This solution is less than ideal and will result in the loss of any files and data you have installed on your hard drive. Insert your Windows DVD or CD into your computer. Set your BIOS boot order to have your PC boot from your CD or DVD drive. Follow the onscreen instructions to reinstall your copy of Windows.